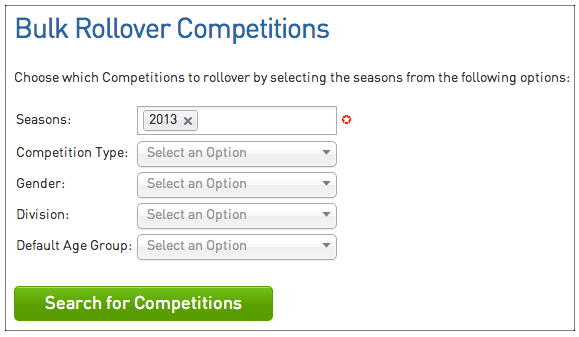 The Bulk Competition Rollover is a function that now allows Associations to duplicate Competition details from one season to another. This dramatically accelerates the new season setup process as the information is automatically entered from the previous settings. 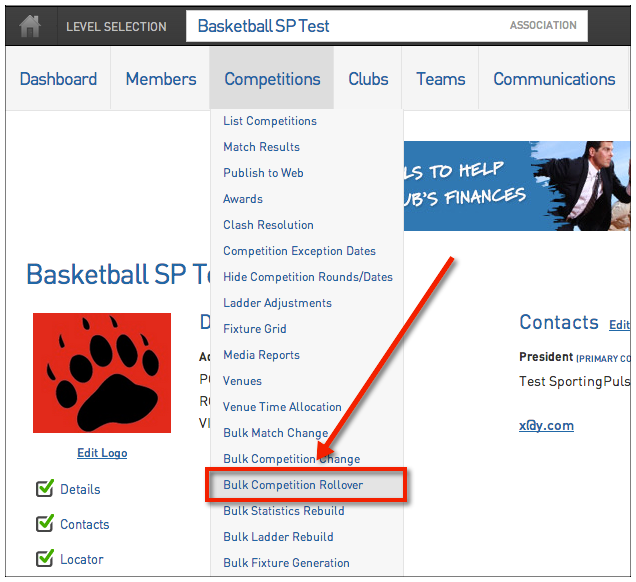 This feature allows administrators to select which competitions are rolled over, this can be from rolling over one competition to all of them. 1. 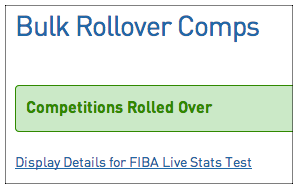 From the Association dashboard Hover over the Competitions tab and Click Bulk Competition Rollover. 2. 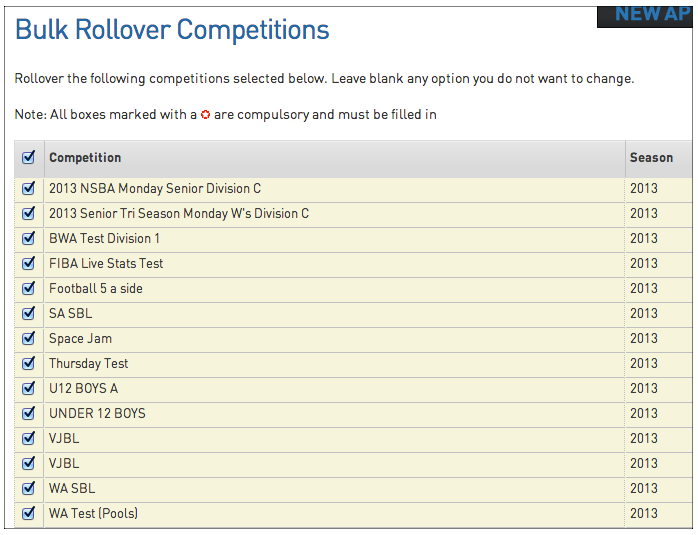 In the Bulk Rollover Competitions section enter the Season details that you want to copy competitions from. 3. You will then need to Click the box next to the Competition/s that you want to duplicate into a new Season. 4. Further down the page you will then need to fill in the details for the new Season that you are duplicating the Competitions to. 5. Once all necessary information has been entered Click Bulk Rollover. 6. If successful you will receive a confirmation message.